We’ve all heard plenty of statistics about how the millennial generation is impacting distributors from the buyer side; the trends of millennials being more likely to buy products online and of millennials having growing influence in B2B buying have attracted plenty of attention. What’s received less attention, I think, is the impact this generation is having on companies’ internal operations. As a subject matter expert and instructor for Texas A&M’s Industrial Distribution program, I’ve spoken with the program’s coordinator about making customer relationship management a bigger part of the program’s curriculum. I asked him what had sparked his recent interest in CRM. He cited the newest generation to join our ranks. The changing of the guard in the industrial distribution world means companies are now being driven by millennials who want and need modern technology. When a millennial comes into a company without modern CRM technology, they’re asking why. A 2015 CompTIA study on Managing the Multigenerational Workforce shows just how important technology is to this generation: Three-quarters of millennials surveyed said a company’s technology usage was important enough to be a factor in their employment decisions. The takeaway from these statistics: Because culture is critical to the success or failure of a CRM implementation (see 3 Ways Culture Can Make – or Break – a CRM Implementation), the millennials in your workforce could help to drive your CRM initiative’s success. 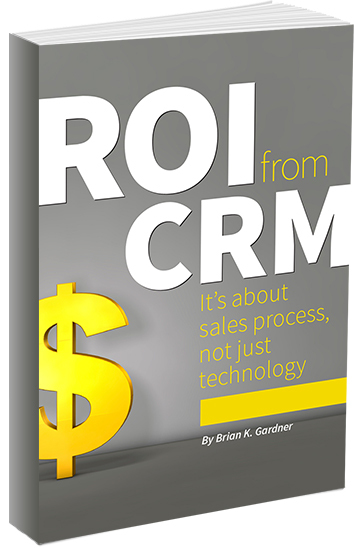 I talk more about culture’s role in CRM adoption and how to gain buy-in from the entire team in ROI from CRM, published by Modern Distribution Management.